Can a jersey be basic and technical at the same time? Our Criterium Mens Cycling Jersey is. Constructed out of Dry Max Polyester fabric. This fabric is super soft and has excellent wicking properties. Which means it drys the sweat to keep you dry and cool. Not like a cotton t shirt that will make you fell as though you just took a bath. 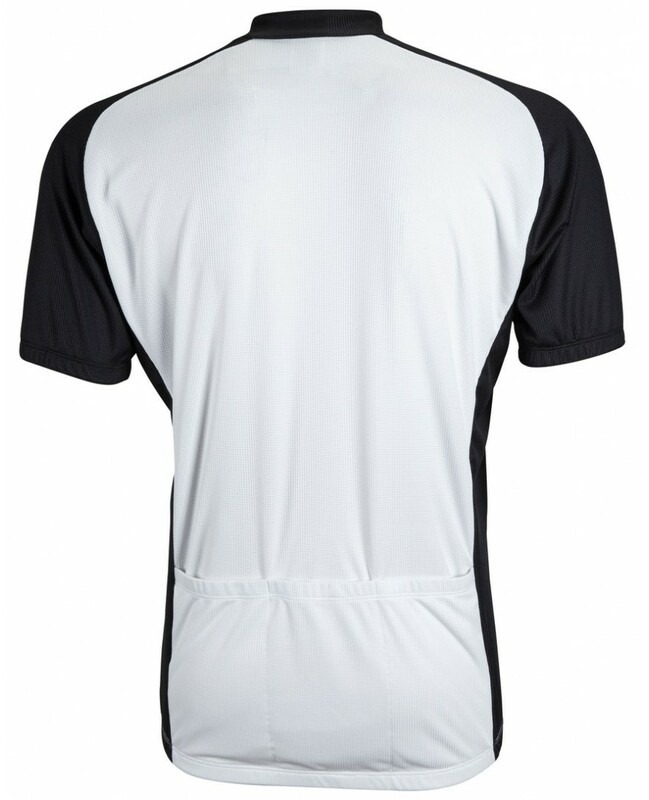 This mens cycling jersey also features a full length front zipper which will make putting on and taking off a breeze. Its also great if you get too hot you can zip a little way down or a lot to keep you even cooler! Like most mens cycling jerseys this one features three rear pockets. Great for storing all your essential cycling items. Like a water bottle, power bar, or an extra tube. 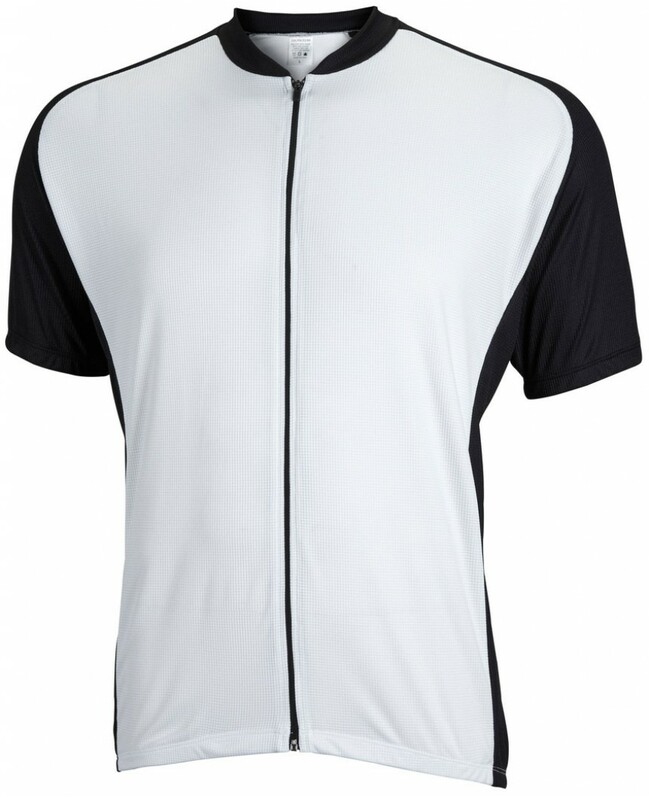 Elastic waist and cuffs help keep this mens cycling jersey in place from riding up while you are busy pedaling. Not like many these days this mens cycling jersey is made right here in the USA! Manufactured with a factory we work closely with to assure high quality at an affordable price.